I cannot remember when I first came across the burdah but it feels like it has been part of me for many years. Chapter one has always captured my heart even in English because of the yearning Imam Busairi has for his beloved. This love is not a material one, it is an unbreakable bond, a tie that as believers we all feel. 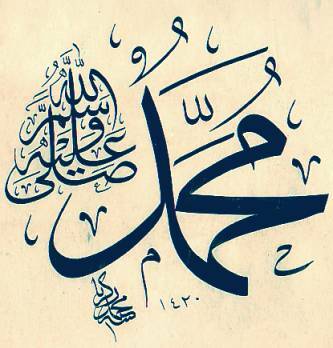 For It is the love of the last and final Prophet Muhammad sallallahu alaihi wa sallam. It is the celebration of faith that is rooted deep in the hearts. It is the love that binds us, it is the love that heals, the love that gives us hope, the love that has shown us the way to live our lives and a love that we never knew existed until we heard his name ‘Muhammad’ sallallahu alaihi wa sallam. Sayyiduna Hassan Ibn Thabit (radi’Allahu an) one of the companions and poets who was honoured with the title ‘poet of the prophet’ sallallahu alaihi wa sallam due to him standing in defence of the prophet, the companions and the religion of Islam against the idolators summed it up in the following verses. after years of worship on this world in idols. that guides us into the right path and shines all so bright. against fire he warned, and he gave good news of Heaven…. A light that shines all so bright – for his face was more beautiful than the moon….. He (sallallahu alaihi wa sallam) has come to us, after years without hopes, after years wandering in the dark, aimlessly. Do we think we can survive without this great mercy? Do we think we are exempt from needing his love sallallahu alaihi wa sallam? What door will we knock at if it is not his sallallahu alaihi wa sallam? Ya Imam al- Rusli …..
You are the door to Allah, the one on whom I rely. O Messenger of Allah, take me by my hand….. There was a time when the burdah would be recited in every house, echoing in the streets and written on the walls of the masjids throughout the world. It has been translated into over 90 different languages and Alhamdulillah is being revived once again in the hearts of the believers. Many given as gifts with the intention of shifaa and barakah, to remove hardships and to draw closer to the messenger of Allah sallallahu alaihi wa sallam. Are we ready for that day, that hour? What have we prepared for it? In Sahih al-Bukhari, there is a Hadith which states that a Bedouin asked the Prophet (sallallahu alaihi wa sallam) about the Hour. He said, “It will surely come to pass. What have you prepared for it?” The man said, “O Messenger of Allah, I have not prepared much in the way of prayer and good works, but I love Allah and His Messenger.” The Prophet sallallahu alaihi wa sallam said, “You will be with those you love.” The Muslims had never rejoiced as much they did when they heard this Hadith. ‘Whenever time caused me any distress and I took refuge in him. I received a shelter from him which was not misused. I did not ask for the wealth of the two worlds from his hands. Jazakum Allahu khayran for sharing Sitti Jamilah- it’s very enlightening.